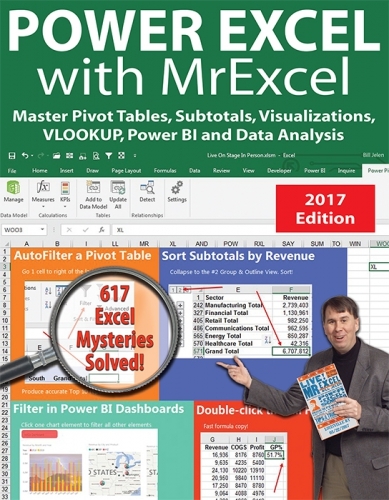 This is the e-Book edition of "Power Excel with MrExcel - 2017 Edition" - by Bill Jelen. Master Pivot Tables, Subtotals, Visualizations, VLOOKUP, Power BI and Data Analysis. "Each featured topic has a problem statement and description, followed by a broad strategy for solving the problem." Many Excel books try to go in a serial fashion through every single Excel option. These books are tough to use. No one at my dinner table ever uses the word "concatenation" in dinner conversation. How would you know to turn to the chapter on concatenation when you need to learn how to join a column of first names with a column of last names? This book offers 617 real-life business problems. Each topic starts with a problem and then provides a strategy for solving the problem. Some topics may offer additional details, alternate strategies, results, gotchas, and other elements, as appropriate to the topic. You will never have to go hunting for "Concatenation". Instead, turn to the topic on "How to join two text columns". If you use Excel 20-40 hours per week, you will save 50 hours a year with the tips in this book. Includes 3 editions: PDF, ePub, and Mobi formats. When you buy the book from this website, it is hassle-free with no DRM (Digital Rights Management). This is the 4th edition of Bill Jelen's best selling book. 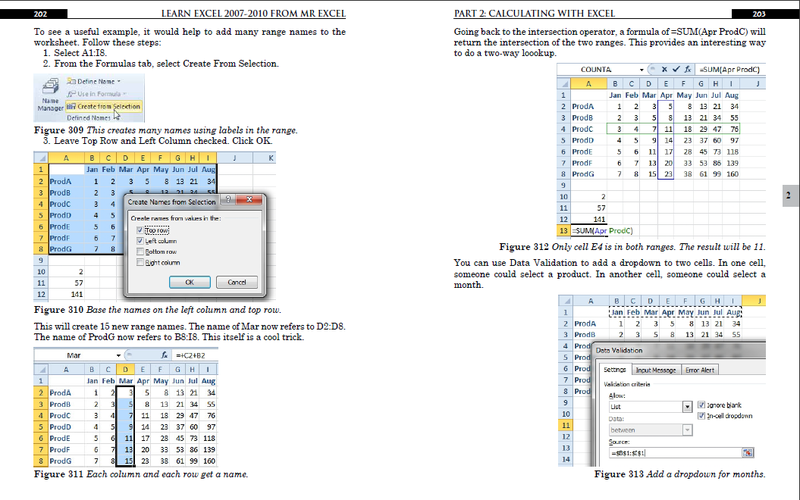 Updated to include features in Excel 2013 and Excel 2010. The 40 Greatest Tips of All Time. It is MrExcel's 40th book. This is the eBook edition. Includes PDF, ePub, and Mobi editions for download. 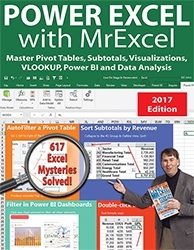 This e-Book includes step-by-step examples and case studies that teach users the many power tricks for analyzing data in Excel.